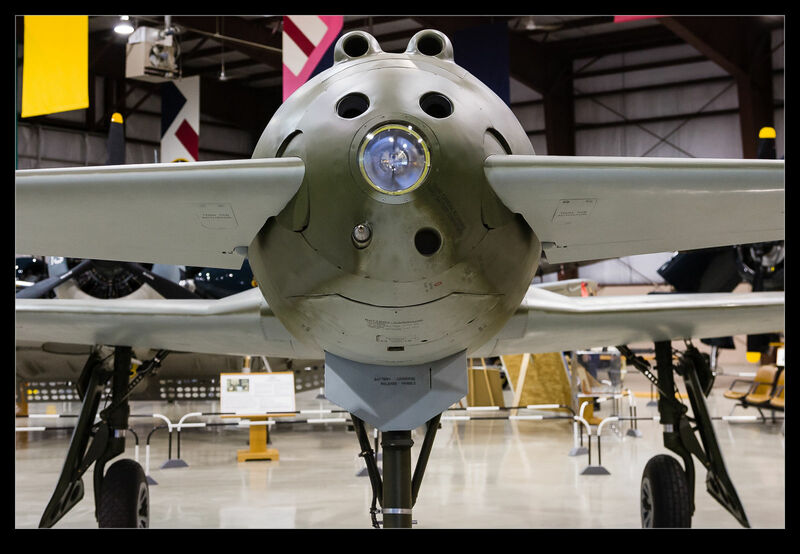 Do you ever see an airframe and think to yourself “That isn’t a real aircraft. 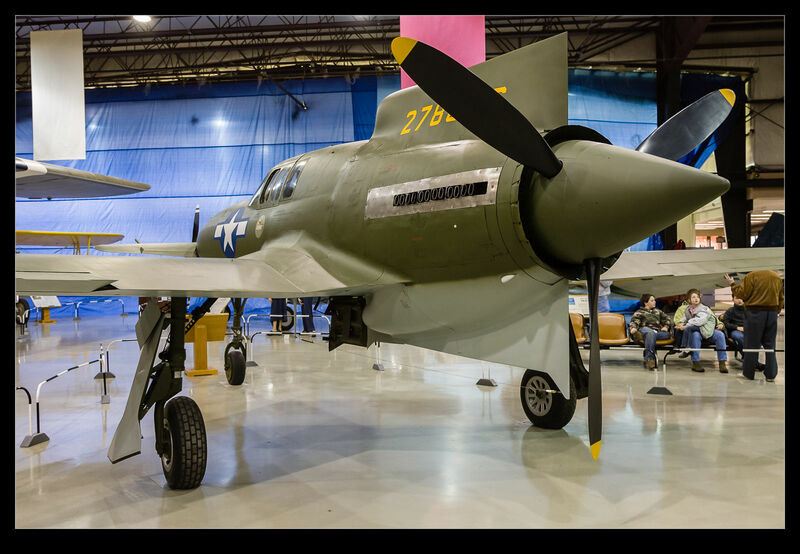 It looks like something left over from a movie shoot.” That was exactly what was in my mind when I visited the Air Zoo museum in Kalamazoo MI. 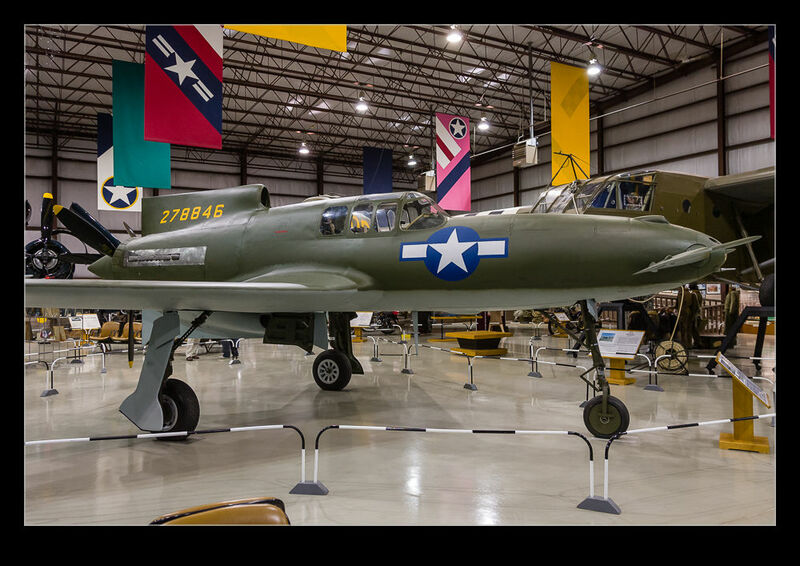 They have the sole remaining XP-55 Ascender. It looks like something that was included in Raiders of the Lost Ark with its unusual configuration. However, it is a genuine program that was part of US experimentation with unusual configurations in the hope of boosting performance. A number of types were developed for this program but the arrival of the jets soon rendered the concept moot and they were cancelled. This sole example found its way to Michigan where it is kept in great condition (at least it was years ago when I visited so I hope that is still the case). It has a really cool look to it and, while that era is not my specialty, I am still pleased that you can come across some surprises from that period. 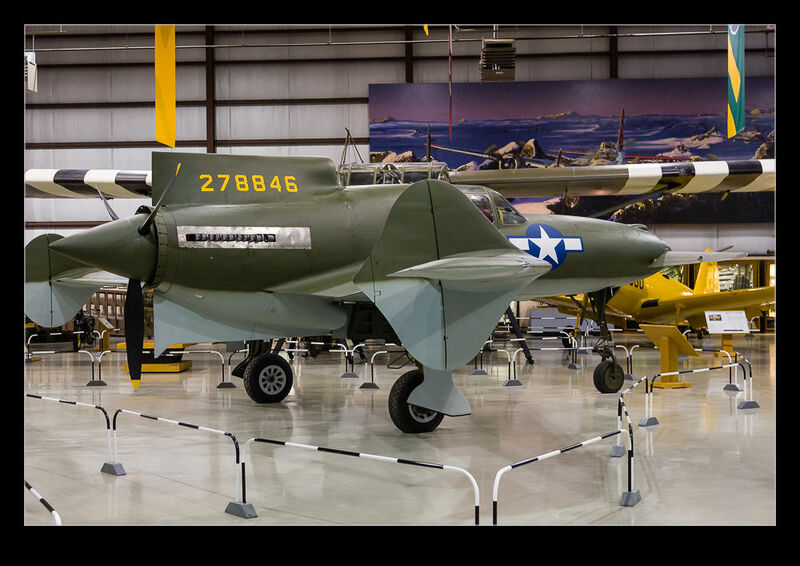 This entry was posted in aircraft, military, photo, vintage and tagged aircraft, airplane, ascender, Curtiss-wright, fighter, Kalamazoo, michigan, museum, photo, piston, vintage, xp-55. Bookmark the permalink.